Here you'll find some ideas to put together your own outdoor toddler toys and games cheaply and easily. If you have a field, a lawn, a yard, or even just a postage stamp size garden (!) at the back of your home there are easy ways for your little one to have fun! 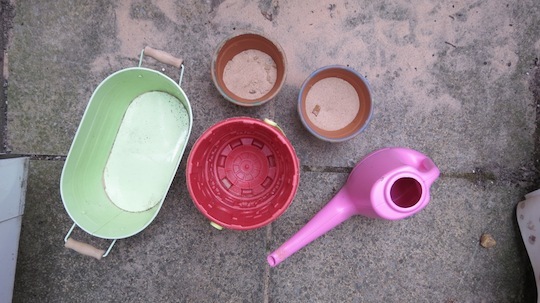 There is nothing easier than grabbing a few cheap and cheerful things like pots, watering cans, dirt, buckets and spades. 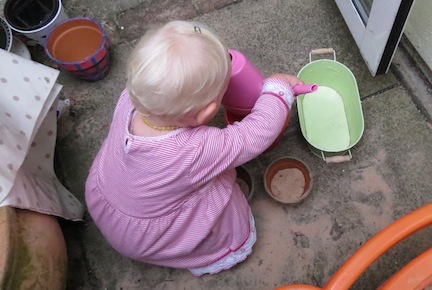 As you probably have noticed older babies and toddlers just LOVE emptying and filling containers of stuff. 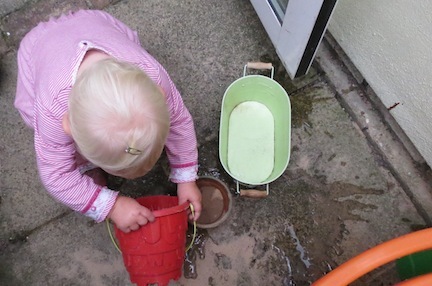 Playing with things like water, sand and mud are such easy activities to set up, requires hardly any preparation, it's free, and allows your little ones to indulge in some messy play! 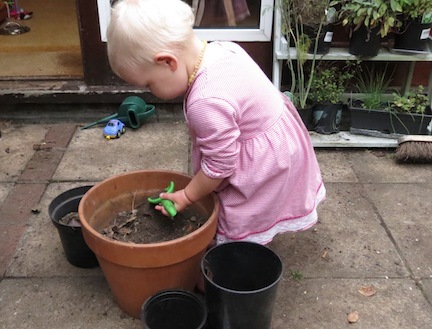 Try some of these simple, messy and outdoor toddler activities to keep your little one occupied while you have that much needed coffee! 1. 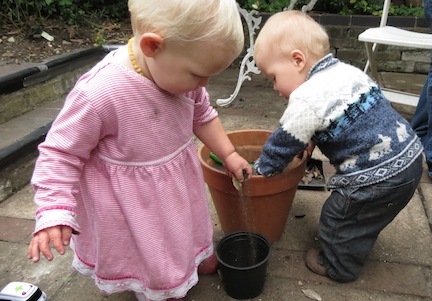 Gather together containers like buckets, pots, watering cans (full of water) , sand, dirt! 1. 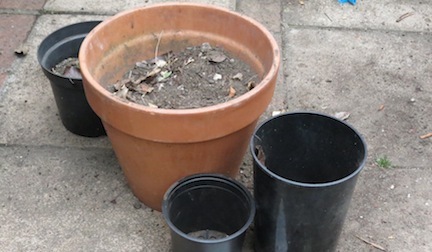 Get a large pot filled with dirt from the garden - or any patch of ground near you. Drier is a bit better as it 'pours' better. 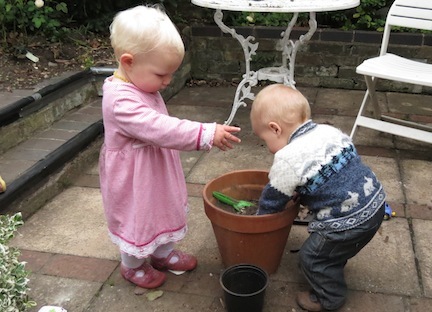 Gather some smaller pots around and get a small plastic child's spade. Beanie loves to do this with her friend - they are happy for ages and they learn a lot in the process. 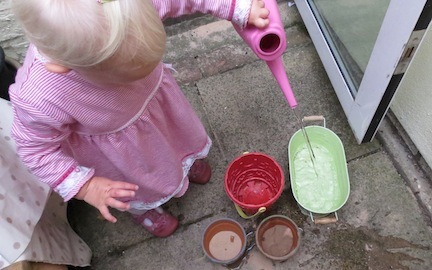 We will be adding more ideas for outdoor activities for toddlers so do come back and check again.